Enjoy the same delicious frappes made famous in coffee houses around the world. 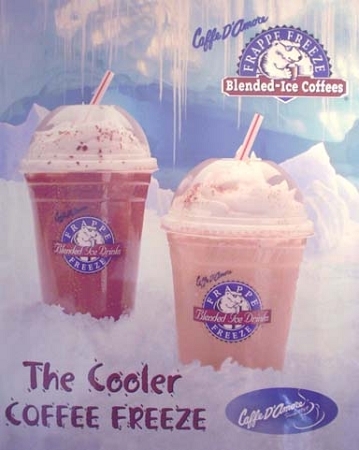 From the creators of the world's first frozen coffee beverage, our Frappe Freeze Ice-Blended Coffees are acclaimed for having the richest Arabica coffee flavor in the industry and are coveted for that true ice cream taste. Simply add ice and water / milk and blend.